The Practical Examination for B. Tech. 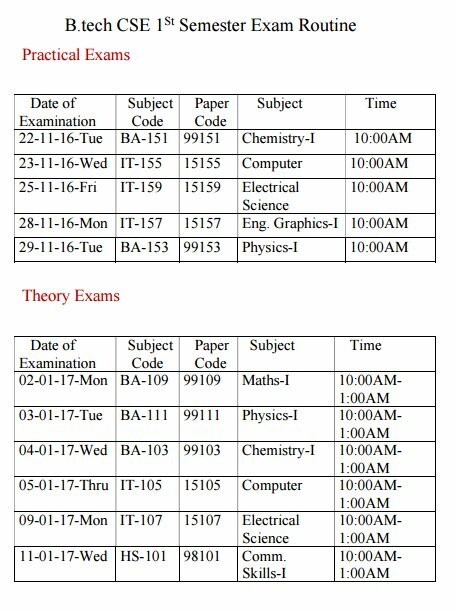 Programme (All Branches) for 1st, 3rd, 5th, & 7th Semester will be held from 16th November to 29th November, 2016. Students should contact their respective departments and institutes to get the detailed schedule for Practical and Theory examination.